The GLC43 nearly succeeds at being all things to all drivers, but the style, tech and performance come at a cost. If the concept of a high performance SUV seems like a contradiction in terms to you, a crossover coupe takes this mash up of disparate concepts a step further in an attempt to make what is, in a fundamental sense, a vehicle in a segment normally focused on utility and off-road capability into something more closely resembling a sporty two-door. As with most things in life, you can rarely have it both ways. Performance and utility are typically at odds with one another, forcing a sacrifice one of in order to achieve the other. But advances in the adaptability of various technologies has made this combination less of an outlandish objective in recent years, and while the GLC43 Coupe isn’t without flaw, it does offer some evidence that these design goals can coexist in relative harmony. 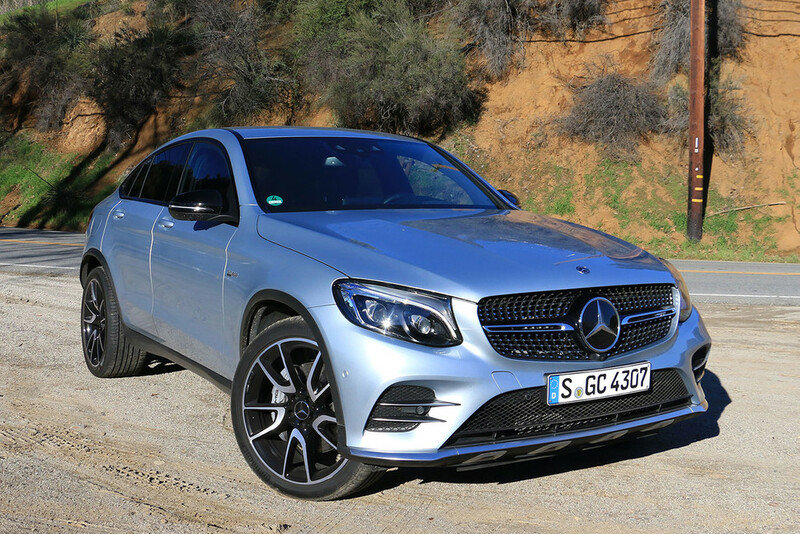 The GLC Coupe is among the latest models in the Mercedes lineup to be emblazoned with an AMG badge as part of the new mid-level performance lineup that comprises the AMG 43 range. Like the other vehicles to receive the AMG 43 makeover, the performance outfit’s enhancements to the GLC Coupe go well beyond skin deep, affecting everything from the visual aesthetic and power train to the suspension, brakes and rolling stock. To see if this AMG 43 treatment proves effective when applied to Mercedes’ sculpted crossover, we took to the back roads of Malibu, California to find out if the GLC43 Coupe can defy traditional conventions while retaining the usefulness that has helped make the crossover segment such a juggernaut as of late.